Around 5 a.m. Sunday morning, the roof of the Metrodome in Minneapolis, Minnesota deflated after a devastating storm, as it collapsed under the weight of snow left after a heavy blizzard. The New York Giants and the Minnesota Vikings were slated to play a game at 1 p.m. ET in the Metrodome, however, the game was postponed until tomorrow night after the storm is expected to have passed through the area. Instead of the Metrodome, the game is scheduled to take place Monday night at 7:20 p.m. ET at Ford Field in Detroit, Michigan. The portion of the Metrodome roof that gave way to the weight of several feet of snow is made of Teflon-coated fiberglass, according to Gothamist.com. The Website reports that the last time a game was postponed due to a destroyed stadium roof was in 1983 when a baseball game between the Minnesota Twins and the California Angels was rescheduled. 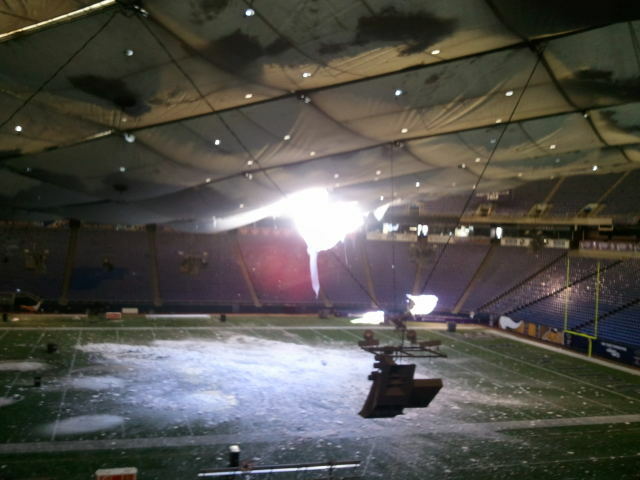 Updated: Contrary to reports, someone was inside the Metrodome as the roof collapsed. A commenter pointed out to us that despite official word that nobody was on Mall of America field at the time of the roof failure, the Fox Sports video clearly shows a dark streak driving what appears to be a golf cart on the far sideline as snow starts to stream down from holes in the roof. Someone was inside and barely escaped with his life. I think God is sick of Brett Farve. Can the Cowboys be next? 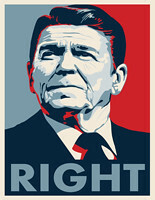 The way they've played at that 1.2 Billion dollar facility, 7-8, perhaps it would improve their play.